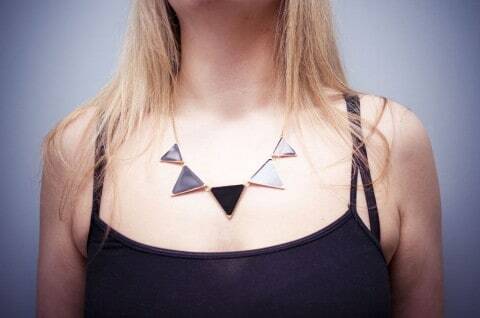 New necklaces released in the HYA shop! I love the HYA tees and hoodies, but I’m a humble enough guy to know that there are only so many things out there that you guys want to see the HYA logo printed on, so there’s no point me investing loads of money in stuff people don’t want, but I would like to have an active HYA shop that people enjoyed visiting and could find some fun and cute things in, which is why it will be diversifying over the next few months to offer a wider variety of items. Jewellery seemed like and easy place to start, after I kept finding really cool stuff on the wholesale websites that I frequent for Rigu, and there’s now a growing selection of fashion jewellery in the shop. I’m keeping the price low because the HYA store is meant to be a bit of fun to help complement the Rigu store, so the necklaces above are available for just £2.99 a piece, which is pretty darned cheap if you ask me! 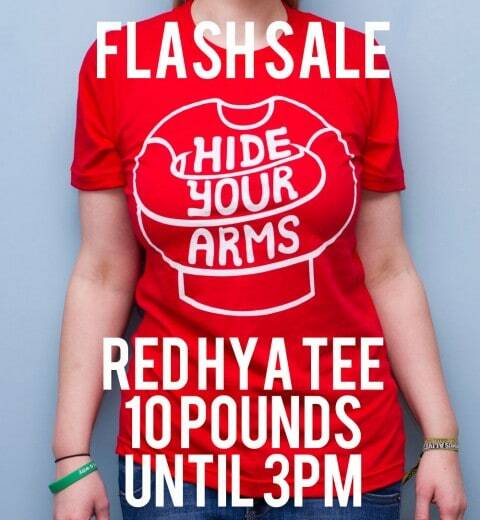 Flash sale on red HYA tees! I’d love to take some of these down to the Post Office today, so pick up a red HYA tee in the HYA store over the next half hour and get it for just £10, and it will be dispatched today, you could even be wearing it tomorrow! 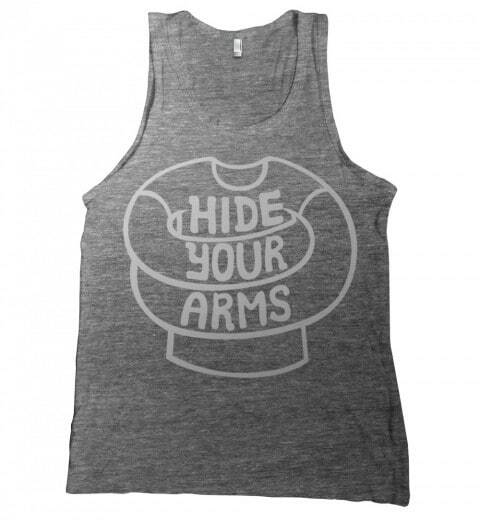 The brand new HYA store is live, and there’s new goods on the way! 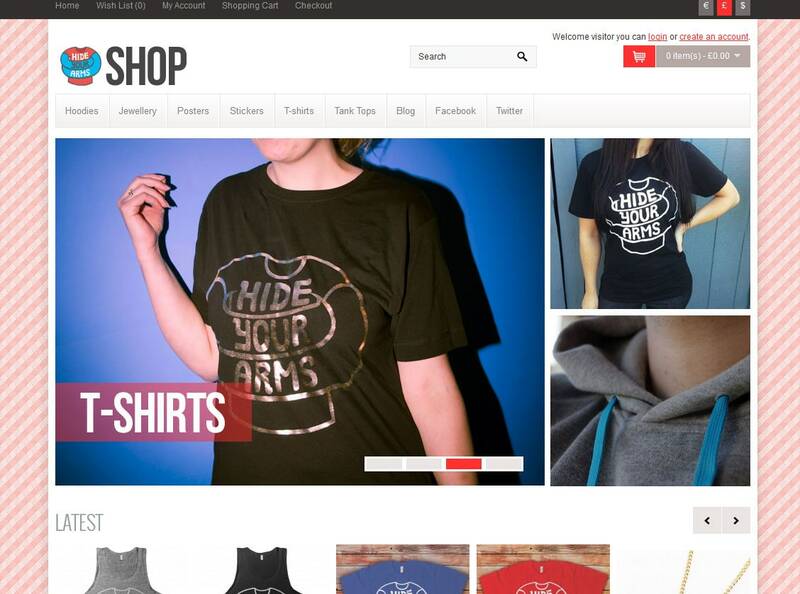 After a few years being hosted by a Big Cartel storefront I have brought the HYA shop in-house and it is now a sub-domain over at shop.hideyourarms.com built on the same platform as my camera accessories venture Rigu. I feel it gives more of a professional look and feel compared to the Big Cartel store (largely because I was using a stock theme, some amazing things can be done with Big Cartel), and gives more scope for expansion in the future. I do have more plans for the store in the future, hopefully branching out beyond the logo-based merchandise to offering a marketplace featuring items from HYA bloggers. That should be happening in the near future but does need the kinks working out as it is quite a lot of work compared to me running this shop. 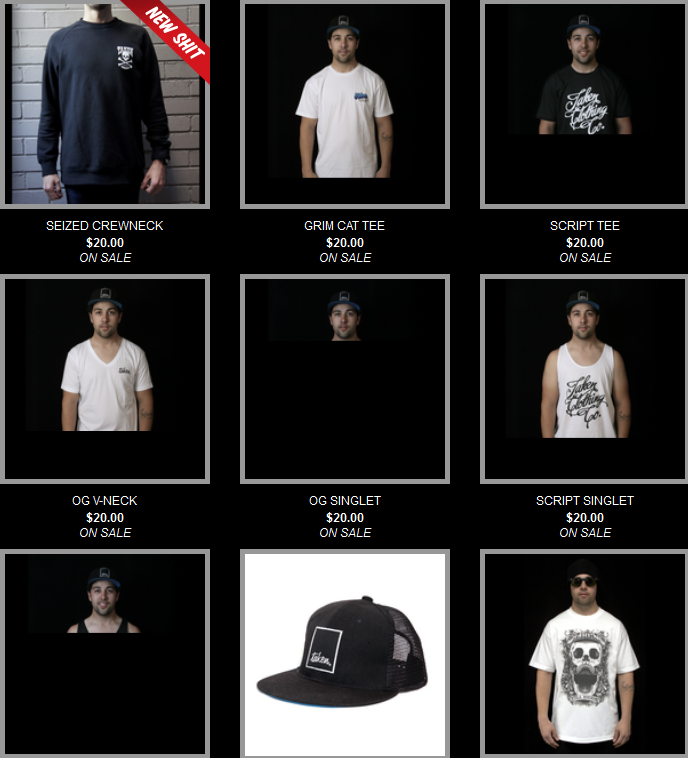 There are also going to be four new items added to the shop in the next couple of weeks too, which is pretty exciting. I love white print on red so it was a no-brainer for me to have a print run of them done, discharge printed onto red American Apparel tees in sizes ranging from XS-XXL. The lapis blue tees are regular plastisol print so not quite as soft as the red shirts, but still a really nice classic colour choice and they will feel good too. I have done very, very short print runs of the vests, a few of my friends wanted them printed since they like vests, and thought I might as well get some extras done for you guys so you can still wear HYA with pride on those hot summer days. These items should be in the store within a couple of weeks, you can sign up for e-mail notifications on the product pages to be the first to know when they have been added to the store (and once you’ve been notified about the release, your address will be deleted, no repeat notifications and no spam). As you’d expect, I would love you get feedback and comments from you all regarding what you like and don’t like. I know it isn’t perfect and that there are still things to be done, but this is an exciting development for HYA and I really want to push it on. Gold on black and white on black HYA logo tees available now! These three shirts actually went up in the HYA store on Friday afternoon, but between getting the photos taken, it being me and my girlfriend’s 3rd anniversary, and the Olympics opening ceremony in the evening I didn’t get a chance to write up a post letting you guys know that I took the plunge once again and had some more HYA logo t-shirts printed. Since I started Rigu last November I’ve really been enjoying packing orders and sending them around the world, and with the HYA store being a bit empty with various sizes of items sold out I decided it was time to get back in the game, and more importantly, I wanted to wear a HYA tee with gold foil on it, and the classic white print too. I won’t print anything that I won’t wear, there’s no point in me investing in stock of tees that I see every day if I’m not going to enjoy seeing them, and I am really, really happy with how these latest tees have come out. White print on black is a classic colourway and I can’t believe it’s taken me this long to get around to having them printed. They’re white discharge ink on black American Apparel 2001 t-shirts, so we all know it’s a good quality t-shirt and with that discharge print it’s started out soft and it’s only going to get softer over time resulting in a really nice vintage feel. 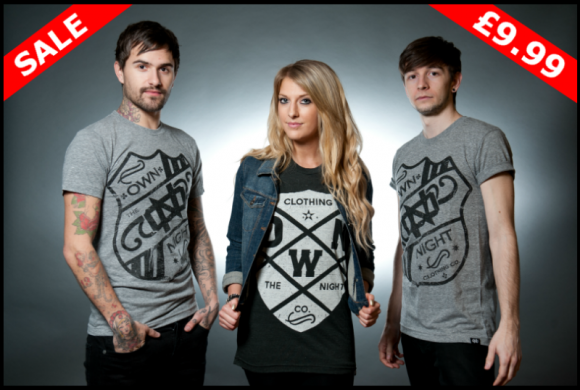 Limited quantities of the shirt are available now for £14.99 + shipping. When I put in the order for the gold foil shirts I did wonder if they were a little bit silly. 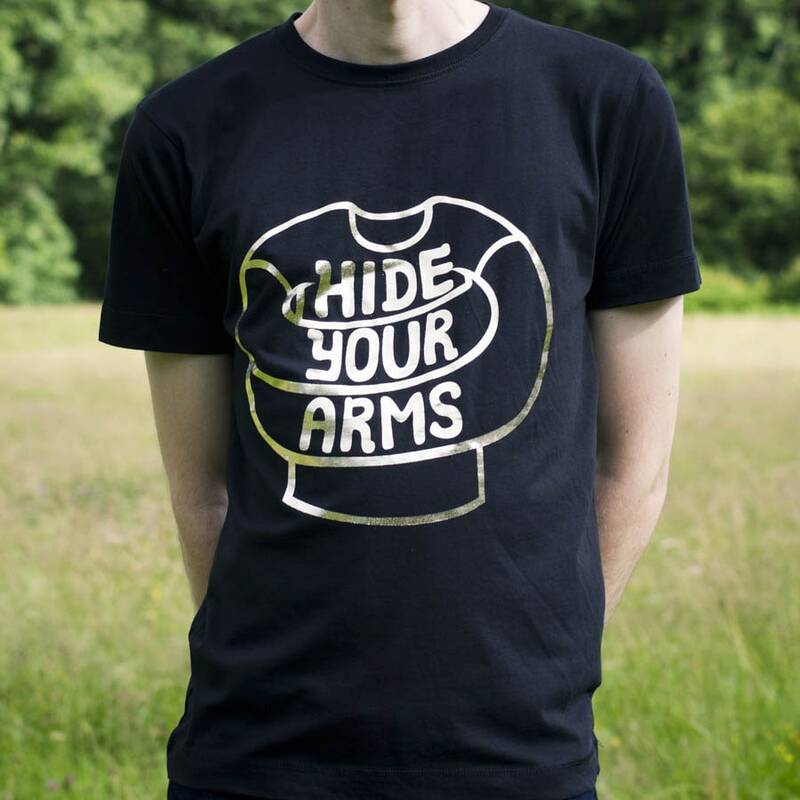 I’m not exactly a ‘bling’ person, I don’t even like the word bling and I never wear jewelry, but something about gold foil tees has always intrigued me, especially when you’re using a black blank, and I had a feeling that the HYA logo would look good in gold. I hadn’t even considered that there was something of an Olympic tie-in with the gold foil, but as I watched Team GB walk around the track during the opening ceremony on Friday I realised I may have missed a trick with marketing there. The gold is pretty shiny, but it isn’t thick so doesn’t feel heavy on the shirt or feel like it will flake off. A brand (who I suppose should remain nameless) that I like use the same printer and shirt for their gold foil tees and sent me one of them a few year, and whilst it isn’t very gold now it did take many years of washing for that to happen, so I do feel that this shirt has a long life in it if cared for correctly. The shirts are from Continental Clothing, who make very nice shirts with a size chart that is very similar to American Apparel, who are members of the Fair Wear Foundation and go the extra distance when it comes to ensuring that their products are made in fair and ethical conditions. The gold foil tee costs £15.99 + shipping and is available now. Lastly, I have restocked the grey print on grey AA tri-blend tees since they sold out in medium and large a while ago. The grey print this time is slightly lighter (Pantone 7540C) to reflect the true colour of HYA grey. 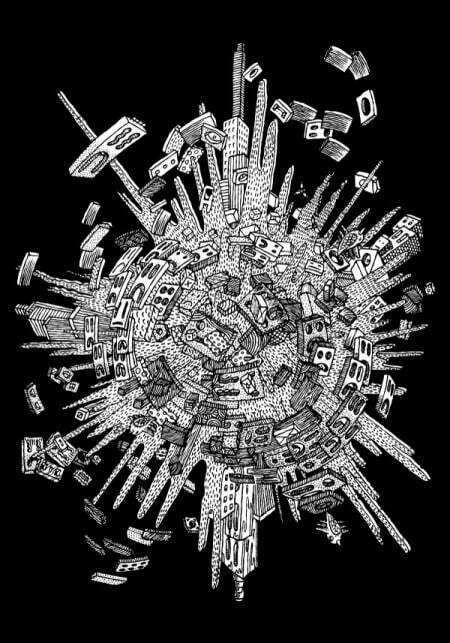 Please note that in XL and XXL the darker grey print remains as I only restocked the M & L sizes, but the dark grey print looks cool so it’s all good. You can pick up this American Apparel tri-blend shirt for £15.99 plus shipping in the HYA store. I do have it in mind to add to the store over time and slowly build what we have on offer, likely more logo-based stuff, but it’s possible that we’ll be branching out in the future, likely with a couple of cool posters a local artist-friend of mine, and we’ll see how it goes from there. If there’s anything that you’d like to see the HYA logo on let me know and I’ll see if it’s possible. 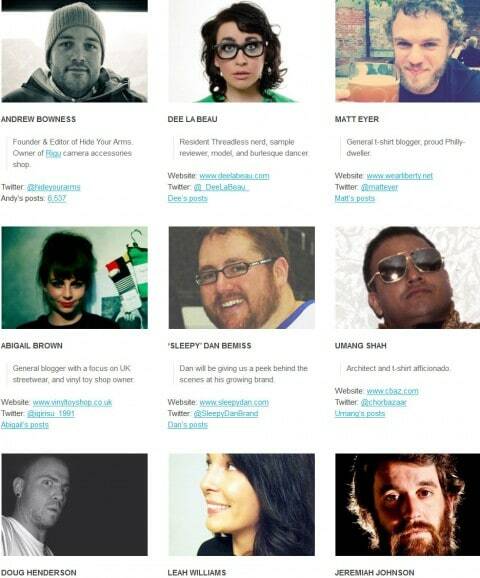 Say Hello to your Hide Your Arms writing team! Back in the early days of HYA the thought of letting other people write on HYA scared me, I didn’t want to lose control of what was being put on the site, and heaven forbid something was posted that wasn’t on the schedule! 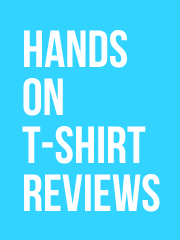 These days I’ve become more relaxed about the situation and realised that for the site to grow and appeal to more people it’s important to have more than just my viewpoint on the site, and to provide all your readers with a wider range of t-shirts and clothing. I’ve been slowly adding to the writing team over the past few months and I really like it, it feels good to have lots of people dropping in with something they’ve found or to cover the latest news, it feels like HYA isn’t just about me anymore and I like that, I want it to be a bigger part of the t-shirt community and become something that can be a real force to help and support t-shirt brands grow. 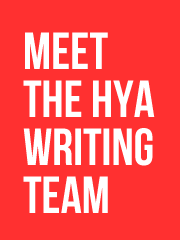 To show that Hide Your Arms is no longer a one-man operation (sure, I do most of the heavy lifting, but the load is getting lighter) I have put together a contributors page to recognise the people that make up the HYA writing team. 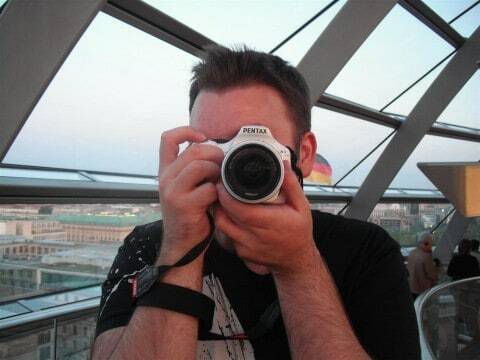 Each writer has a little bio and a couple of links showing you where you can find them around the web, their posts on HYA, and also a picture so that we can put a face to the name that you seen in the byline on each post (like this one, but you guys probably know who I am already). If you would like to join the team and write on HYA then I am always looking to take people on who have a passion for clothing of any kind (it doesn’t have to just be tees, this site started out being about hoodies, remember?). Please get in touch via the contact form or send me an e-mail (info@hideyourarms.com) letting me know who you are, what brands and kinds of clothes you like, and anywhere I can find your writing online if possible. Experience blogging is definitely not a requirement, though it would be useful. 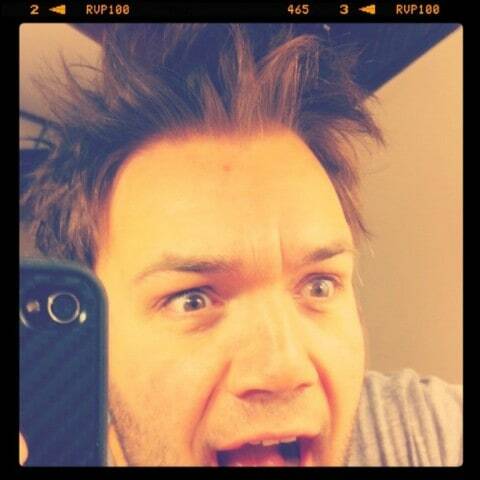 4000 likes and 4000 followers? 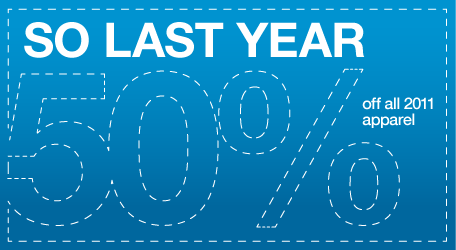 I’d better give you 40% off then. I’d been holding off on this a bit, HYAs Twitter followers had been going a bit up and down over the past week as I attracted a lot of spam followers, so I was waiting for it to level out of an accurate number. However, I think it’s now a good time to mention that HYA has passed a couple of arbitrary milestones, reaching both 4,000 Facebook likes and 4,000 Twitter followers in the same week. It’s a little bit strange that they’ve reached equilibrium, but I suppose it had to happen at some point and I think that the Facebook page will started to command a lead over the next few months, possibly because I do a lot less talking on Facebook compared to Twitter, maybe if I stayed quiet I’d have 10,000 followers by now. 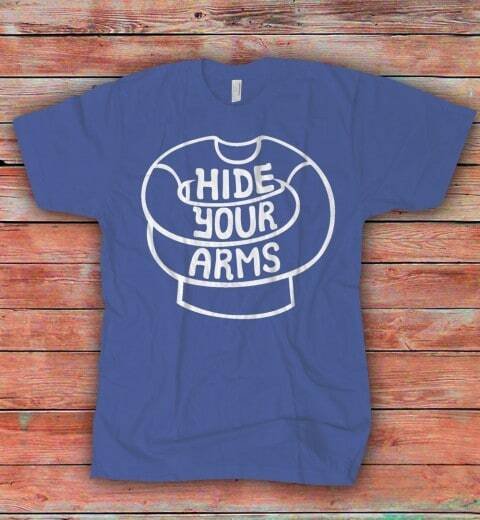 To celebrate such a momentous occasion I’ve decided to create a 40% off coupon for the HYA store. I’ve never gone that big before, and I don’t intend to again (there won’t be 50% off at 5,000 for example, I’m no business expert but I’m not an idiot), so this will be a great chance for you to pick up HYA goods. I’m running low on most of the clothing items now, down to one or two left of most things, and I can’t see myself doing another print run for a long time, so this could be your last chance to pick something up. 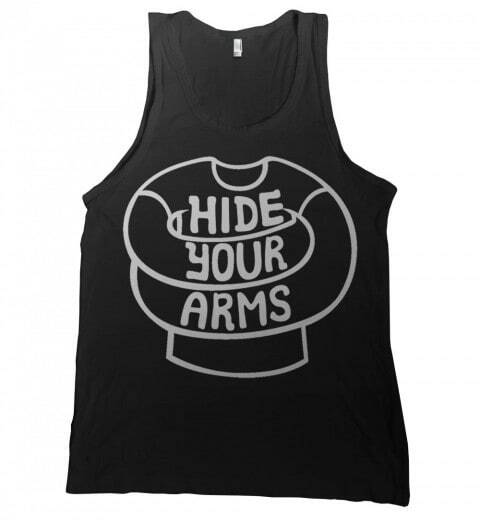 USe the coupon code 400040004000 to get 40% off in the Hide Your Arms BigCartel store. You need to spend a minimum of £10 to be eligible to use the code, and it is live from now until midnight on Sunday (GMT). 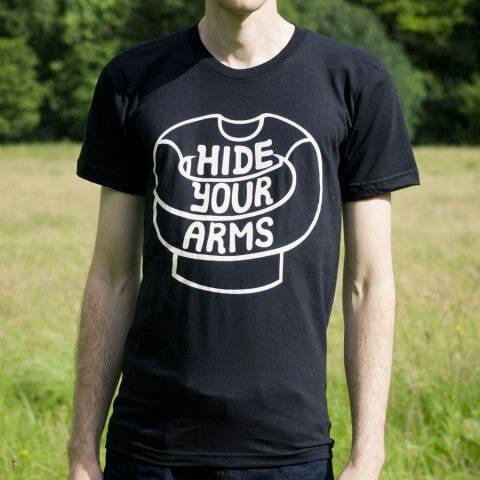 Hide Your Arms is Six Years Old Today! Funny how much in my life has changed because I semi-spontaneously decided to write about t-shirts and hoodies one day when I should have been studying for my exams. Thank you very much to anyone that has ever blogged for HYA, visited the site, linked to an article, commented, advertised, followed on Twitter, liked on Facebook, anything. Anything that anyone does to help this site helps keep me behind these monitors doing something I love instead of some soul destroying job in a cubicle or outside in the cold, and I truly do appreciate it all. 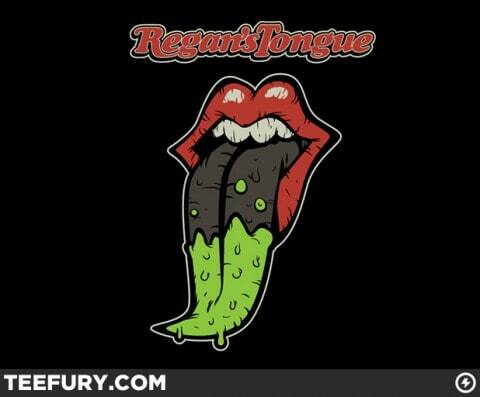 This shirt at TeeFury is a mashup of The Exorcist and the Rolling Stones, which is pretty appropriate for Friday the 13th, it’s almost like they planned it! 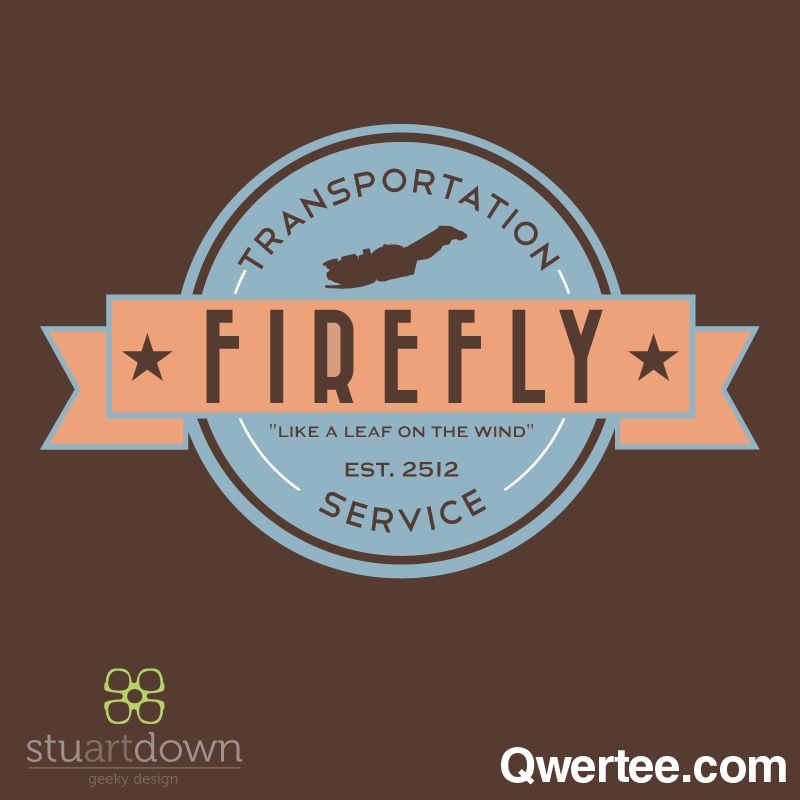 I’m fairly sure that I’ve seen this Firefly shirt somewhere else before it docked at Qwertee. 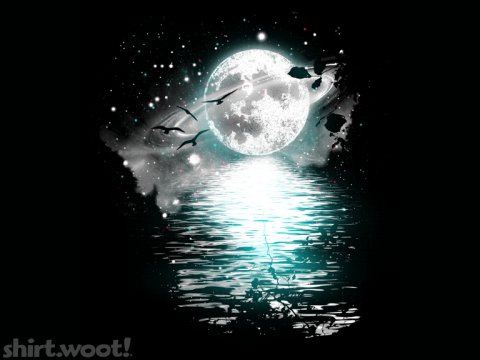 Shirt.Woot have the kind of shirt I would put on a level with Three Wolf Moon, except with no ironic redemption. 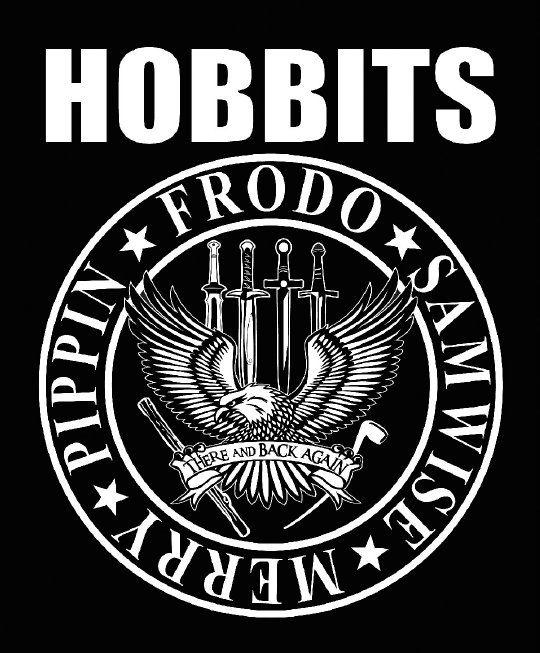 RIPT are getting into the Hobbit spirit a little early. TeeMinus24 must have been watching LOTR too. This 24tee shirt doesn’t really work with my British mind. 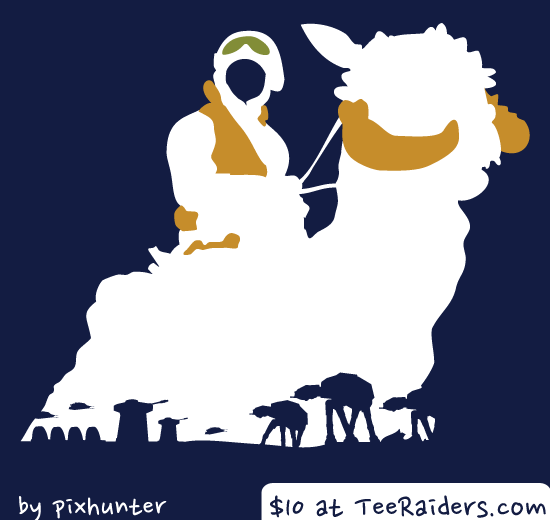 One for the Star Wars fans at TeeRaiders. 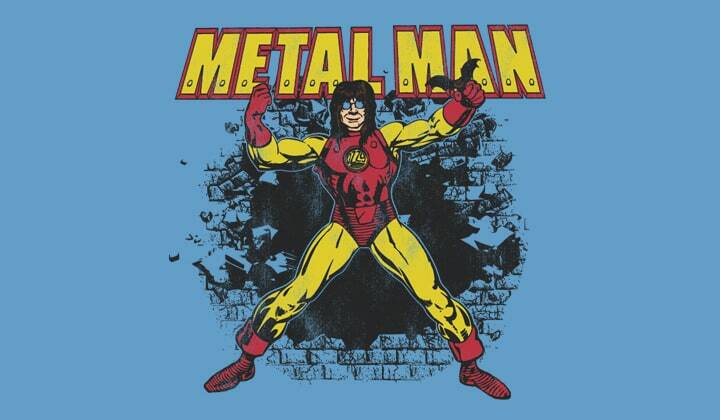 An Ozzy Osbourne/Iron Man parody for you today at Shirt Punch. 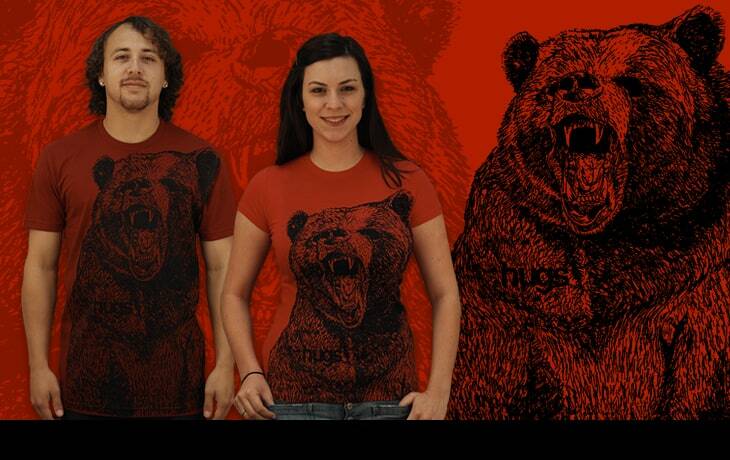 Now that’s an angry bear at DBH (who I notice have made a few little tweaks to their homepage). 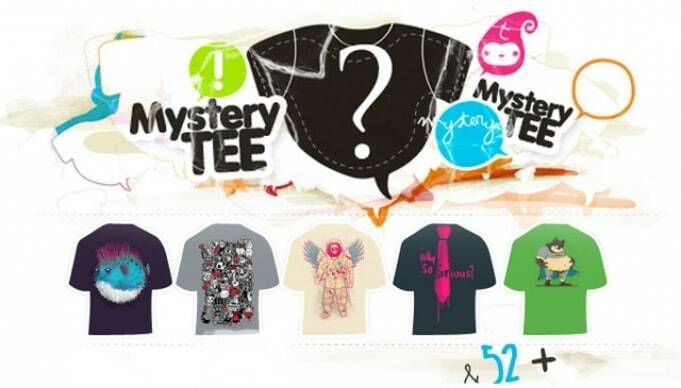 Loviu are doing mystery tees for 7€ from now until the end of the month. The text says “order 3 mystery tees only 7 euros each” but I think that three is the maximum for one transaction, not the minimum, as I was able to add one tee to the cart when I gave it at go. 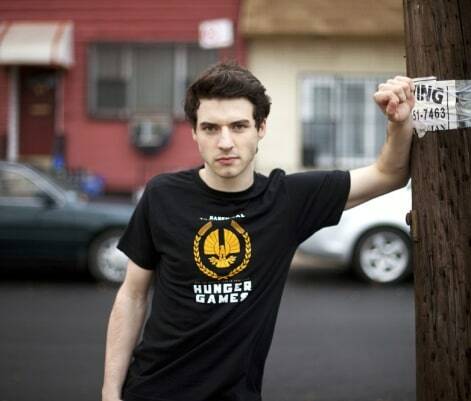 BustedTees have got their Hunger Games t-shirt on sale for $11.99 instead of $20 for the rest of today. Hey look, Tilteed, are selling ‘Expansion II’ again. 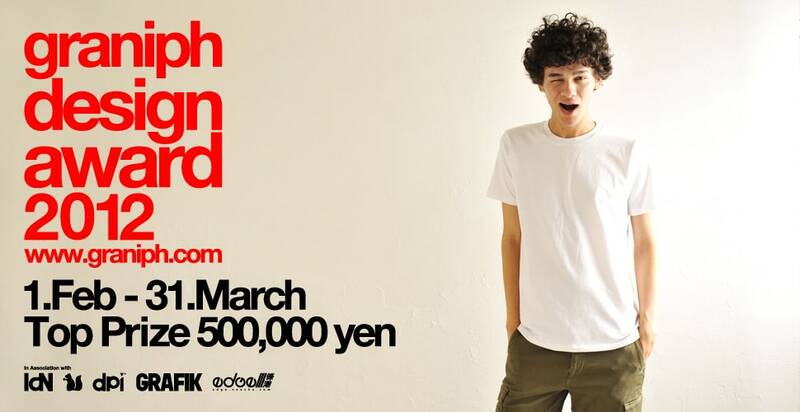 Details of Graniph‘s design award have been announced. Submissions open on February 1st, and the top prize is 500,000 yen, which is probably a lot of money. Graniph are also having their winter sale at the moment, loads of goods marked down by as much as 50%. 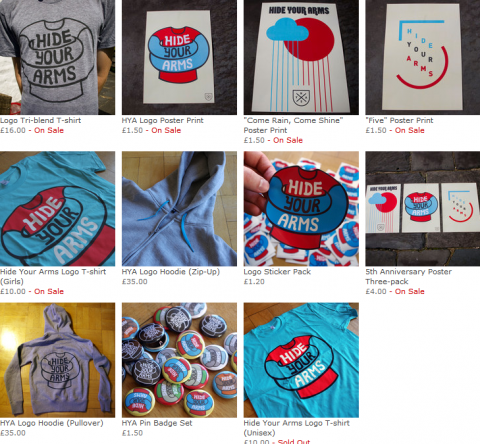 Kid Robot have a decent sale on, with 50% off all of last year’s designs. 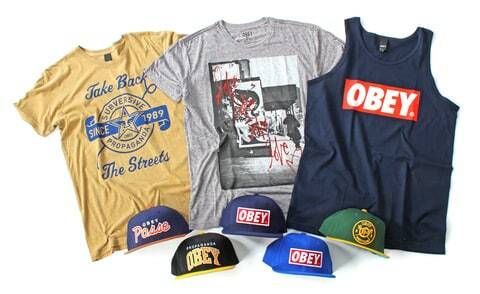 The first of Obey’s Spring 2012 line has dropped at Urban Industry. 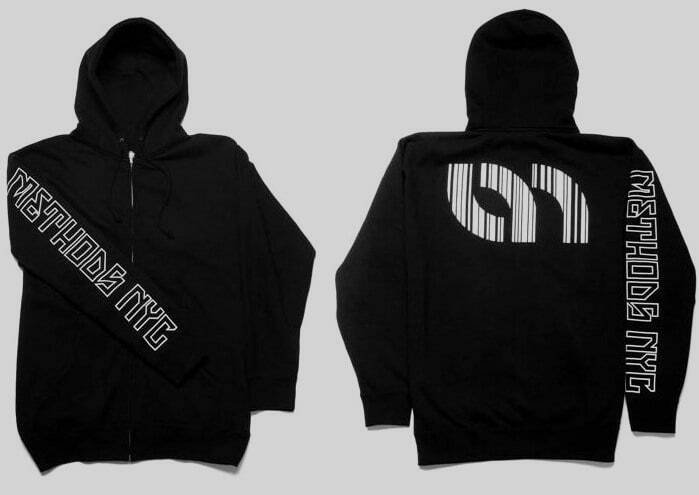 I think that only a mother could love these (recently restocked) barcode hoodies at Methods NYC, but the coupon code of BRICK getting you 25% off your order on anything in the store until tomorrow at midnight (EST, presumably) is a lot more tantalising. Taken Clothing have got everything on sale for $20 until January 17th. I’m not sure how much things cost before the sale, but presumably it was more than $20. 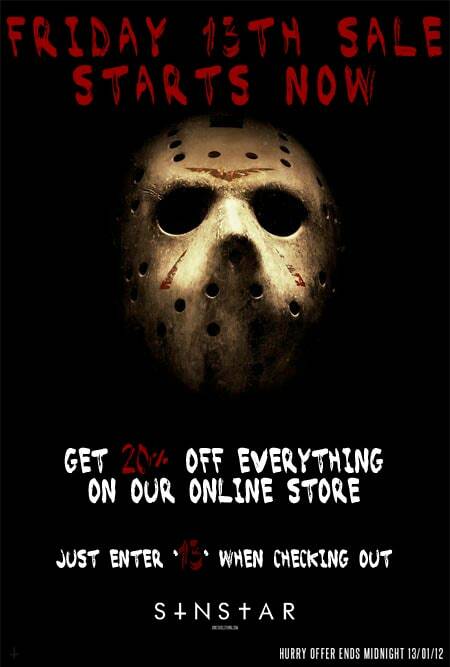 Get 13% off your order at Trust No One with the coupon code UNLUCKYFORSOME until 9am tomorrow UK time. Complex list the 50 greatest pop culture reference in streetwear. 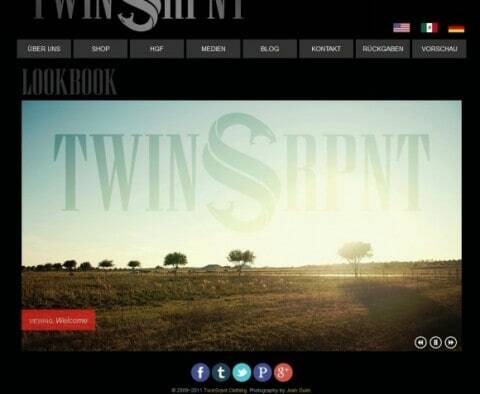 Tee Gazette have an interview with Twin SRPNT. 20% off everything at Sin Star Clothing with the coupon code 13 today only. Oh No Berlin now have a brand store at A Better Tomorrow. 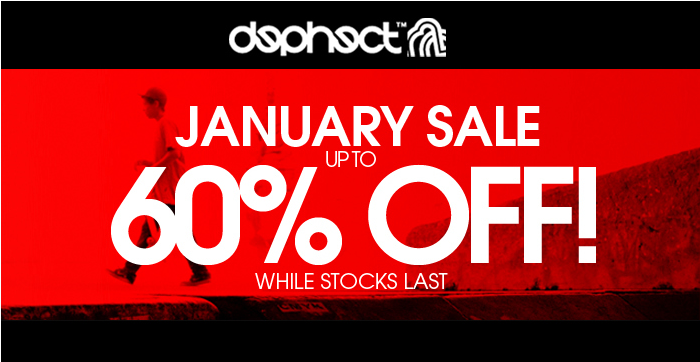 Dephect’s January sale is still going on with t-shirts as low as £9.99. HYA tri-blend tees in the HYA store are £13 for today only, a saving of £3, limited quantities available pick them up before they sell out. 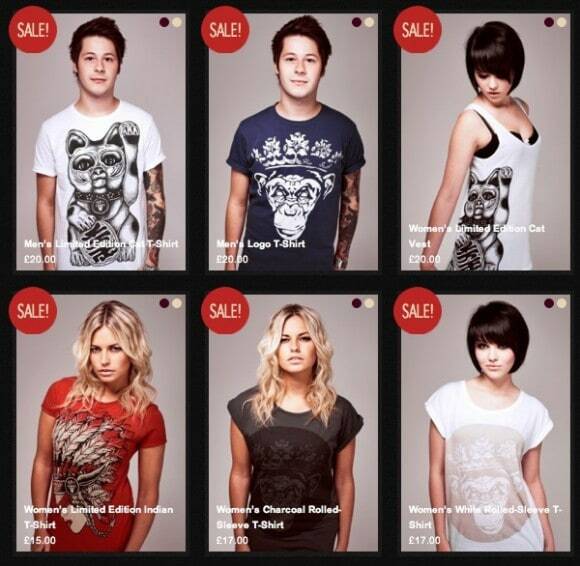 There’s up to 35% off in the big sale at Human Empire. 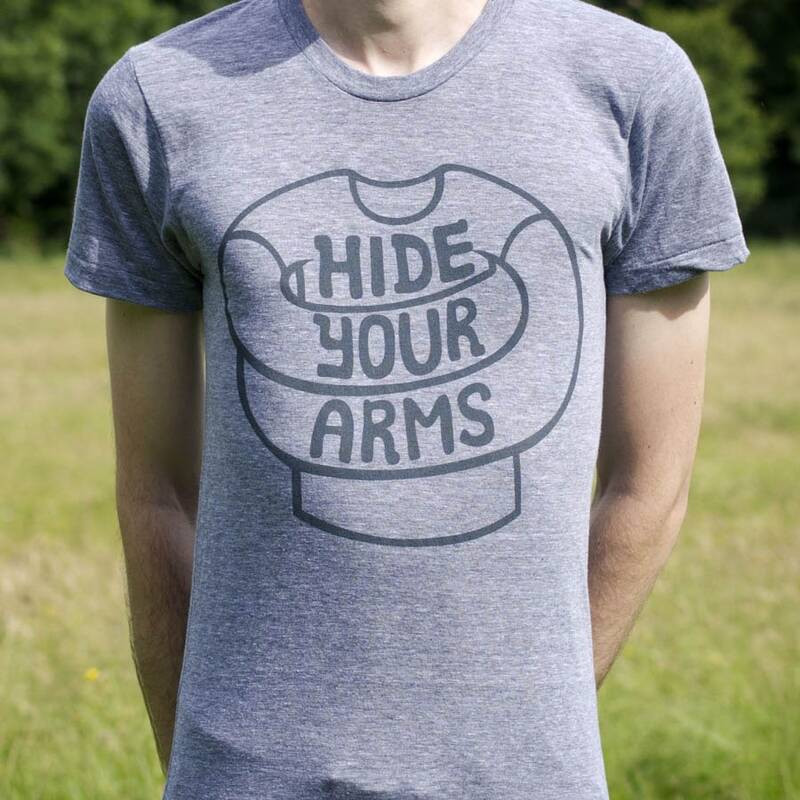 The Hide Your Arms Facebook page hit 3500 likes today, which is really quite humbling, so I thought I’d give you guys the treat of 35% off anything in the HYA store until midnight tomorrow (November 18th). Use the coupon code 3500FBLIKES to receive the discount on t-shirts, posters, hoodies, stickers and buttons. At those prices I will be making a loss on some items, but as I’ve said before I’d rather they were being enjoyed by you guys rather than sitting in my office. I’ve decided to lower the price of the HYA posters because I’d rather have them on your walls than in my office, and I’m trying to clear a lot of room for a new venture that I have been teasing about on Twitter and will fully explain in good time (so expect other random things to be in the HYA store soon too). Individual posters are £1.50 each, which is ridiculously cheap because they are genuinely a quality item, A3-sized and printed by Awesome Merchandise. If you want to buy the 3-pack you can save even more, as it weighs in at a mere £4. There are postage costs on top of that, but please be aware that I am merely breaking even on all postage costs, and in some cases I even make a loss. Remember, there are other cool things in the HYA store too, most of which are unlikely to ever be printed again. I don’t know how long I’ll keep the prices like this for the posters, probably until I run out of stock, like I say, there’s no use me having them all, I have my set framed and I’m proud, it’s time to spread HYA across the globe. 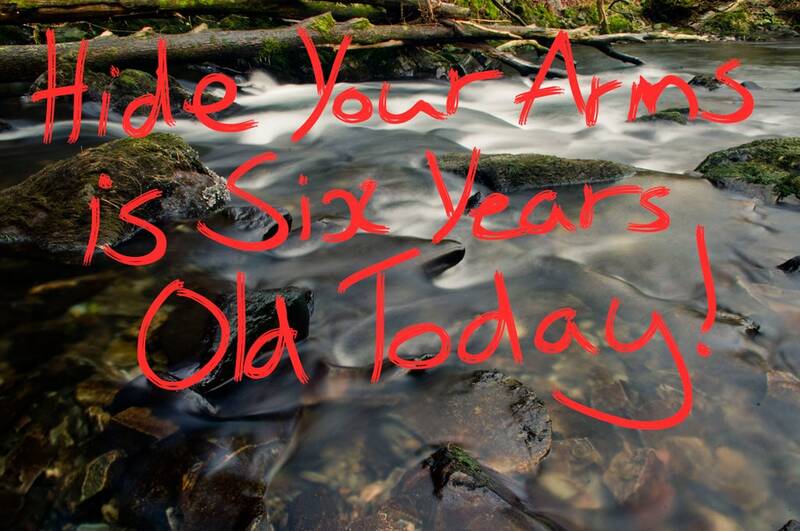 Happy birthday to me, have a coupon code for 27% off in the HYA store! I turn 27 years old today, so I thought it was only fair that on my birthday you guys got a treat, no rambling posts from me (in fact no posts at all today… other than this one), and a coupon code for 27% off in the HYA store. Use the coupon code HAPPYBIRTHDAY to receive 27% off your order, the coupon will be live as long as it’s my birthday (aka until midnight tonight). 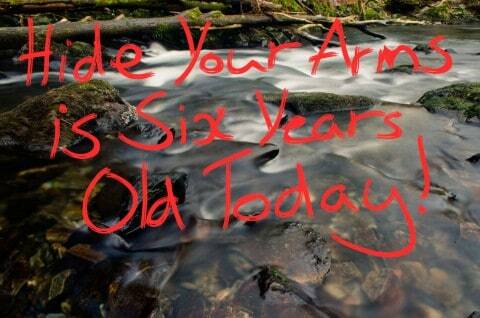 Oh, and why would I choose a picture like that to accompany my birthday post? Well, there are definitely more attractive pictures of me out there, but this picture was taken about a minute after I climbed out the water when I knocked 8 minutes off my open water mile time (down to 32 and a bit), which I know isn’t exactly world record pace, but I don’t think it’s bad for my 3rd event and I’d regard it as one of my biggest achievements of the year. So whilst there are nicer photos, that’s me, no photoshop, tired, panting for breath, shocked, after spending 40 minutes in 60 degree water. I know that 3,000 isn’t a particularly poignant milestone, but I think that’s it’s pretty cool that there are so many people out there that are willing to click on a little box to say that they like this website I’ve been running (largely on my own) for the past five and a bit years. Thanks everyone, I truly do appreciate it. To say thanks in a way that means something to you and not just me, I’ve set up the coupon code of AWWWYEAH that will get you 30% off in the HYA store. 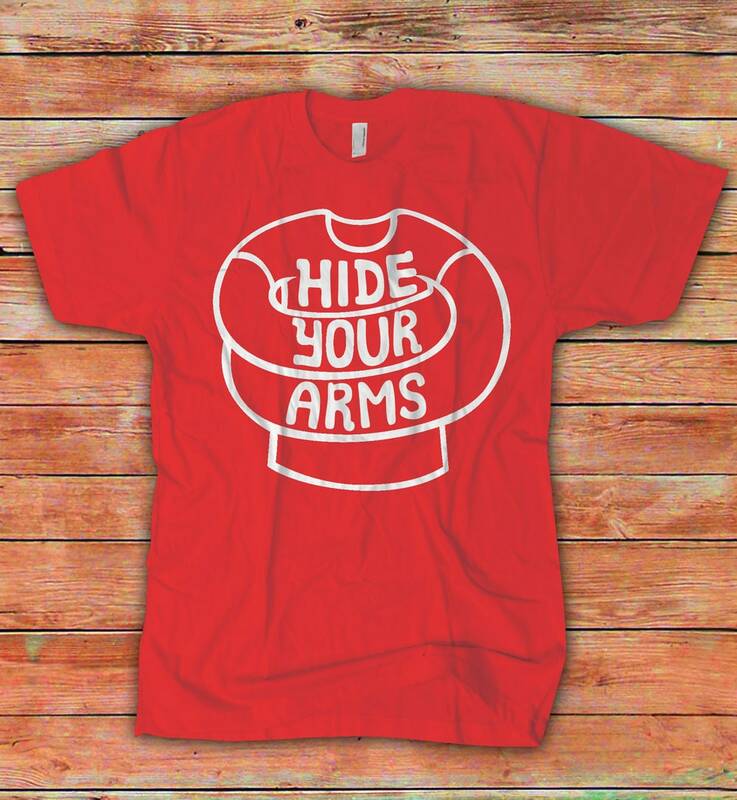 I’ve never publicly released a 30% off coupon code, and I can’t see myself ever releasing anything bigger than that, so now is a great opportunity to pick up Hide Your Arms goods at a their lowest prices ever. Clear me out, friends! 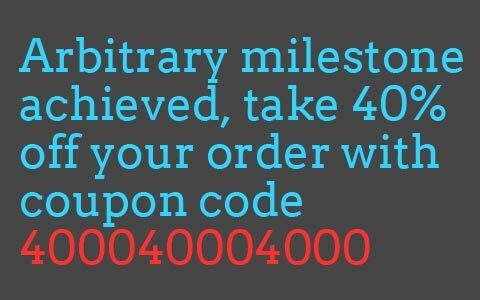 To keep things interesting, I’m letting you guys decide how long this coupon code will be active for. Go over to this Facebook post and give it a like, for every like that it gets I will keep the coupon alive for another day, so seven likes would give you a week to get your order in using the coupon code. HYA Tri-blend t-shirts 25% off, £12 this week! After the success of putting the HYA hoodies on sale in the HYA store last week I thought I’d offer the super soft tri-blend t-shirts on sale this week. 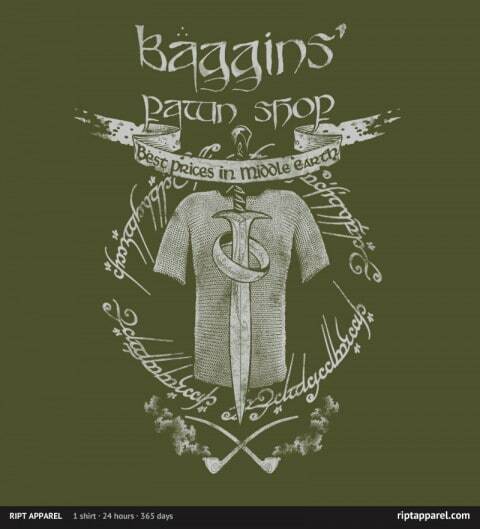 I understand that £16 is quite a lot to ask you to pay for a t-shirt when I’m writing about shirts that are cheaper every day from places like Shirt.Woot, Tilteed, TeeFury and RIPT, and lots of other places that aren’t daily sites but just running a standard line at less than that price, but I promise I’m not gouging you guys. I don’t get many shirts printed, I have them printed in the UK, and these particular shirts are American Apparel tri-blends, a shirt that isn’t particularly common in the UK. Those three things all push the price up. I’ve put the shirts on sale for £12 this week (until midnight on Sunday), at that price I’m actually making a loss on every t-shirt sold. Seriously, that’s how much I had to pay per shirt to have them produced, but I love these shirts, I don’t care that I won’t make profit on them because I just want people to be wearing them, enjoying them, and telling your friends about HYA. T-shirts are meant to be worn, not kept in a box in my bedroom. 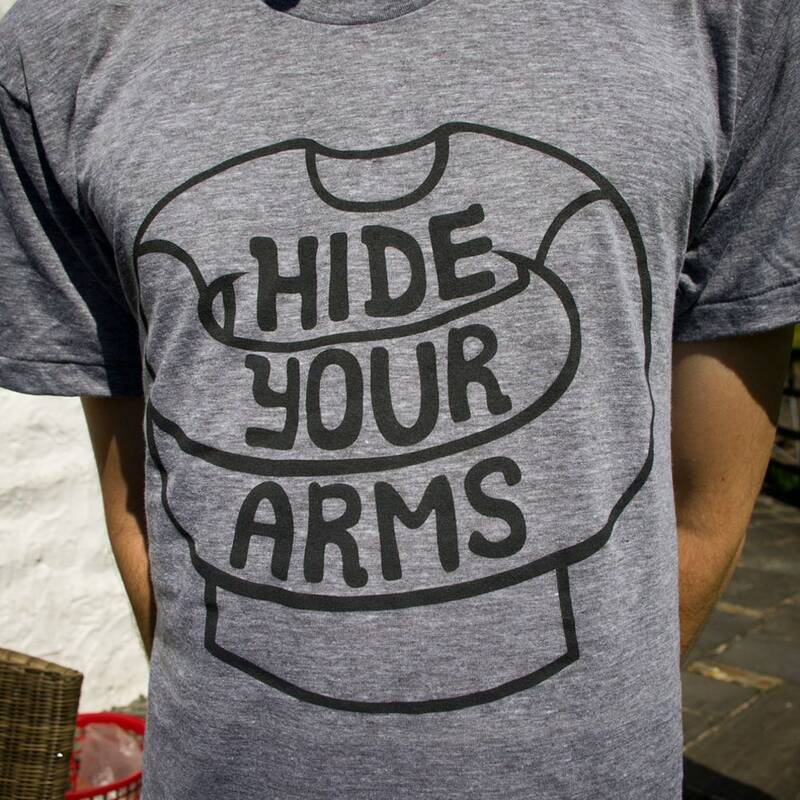 As ever, all orders will receive a Hide Your Arms pin badge and a die-cut sticker. Availability is fairly limited, I have a few left of most sizes but that situation could quickly change. I put a post on the HYA Facebook page a couple of days ago asking what people would like me to discount in the HYA store; hoodies, t-shirts, or posters. There wasn’t much feedback (6 responses from almost 3000 fans), but hoodies did receive the most interest, so true to my word I have put the hoodies on sale at £25, which is a saving of £10. The hoodies will be on reduced price until next Friday (August 19th), and even though I’d destroyed any notion of a profit margin with the price cut, I will still be including a HYA sticker and pin badge in every order. Sizes are genuinely limited, I’m down to singles in some sizes, and once they are gone it will probably be quite a long time until I restock, so if you want one, get it now, it’ll be winter soon and these hoodies are ridiculously fluffy and warm and awesome. 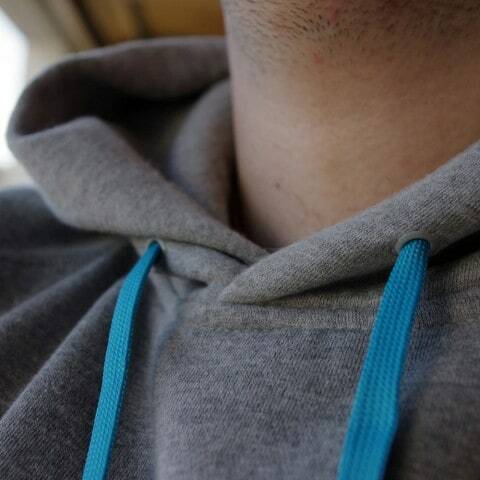 I know I’m meant to hype my own product, but I love these hoodies and I hope that more brands out there print on them because they are really high quality for the price. Quick note to let you know that I’m going to Northern Ireland for the weekend so please have even less expectation than usual for me to reply to e-mails. I’m going to have posts written up for the weekend as usual, and the new bloggers will be giving their posts as well so you should have plenty to keep you entertained. No new site updates to tell you about (I did add some quick tags to make formatting and adding links to comments easier, but it’s barely worth mentioning), but HYAs growth is not slowing, and I will have even more bloggers to tell you about next week, hopefully. I have teamed up with PLNDR, the daily-deal site offering premium streetwear at up to 80% off, to give away $150 of PLNDR cash to spend on their site any way you choose! 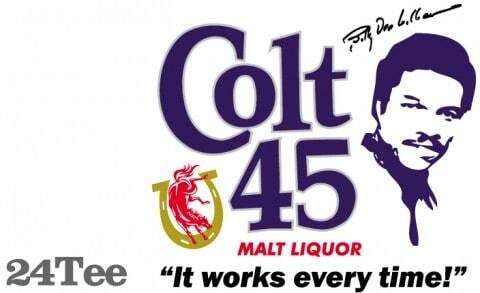 I signed up to take a look at PLNDR and you know what? They have got some really good stuff on sale, and it’s so cheap that even I might buy something, and I almost never buy clothes. Usually when a site claims to have 80% off that is a very, very rare occurrence, but I have found a few 80% off items, and a lot of 77% off items (which is close enough), so these guys are the real deal (and they’re affiliated with Karmaloop, so you know they’re legit). I’m going to have to keep a closer eye on PLNDR and post about them more in the future because I’m really impressed with the goods available at prices that a too hard to pass up. This competition is open for one week from today until Monday July 11th Friday July 15th* at midnight GMT, is limited to one entry per person, and can be entered by anyone living in a country that PLNDR ship to (list here), you can enter if you don’t live in those countries, but there isn’t much point since you wouldn’t be able to buy any of the clothes. 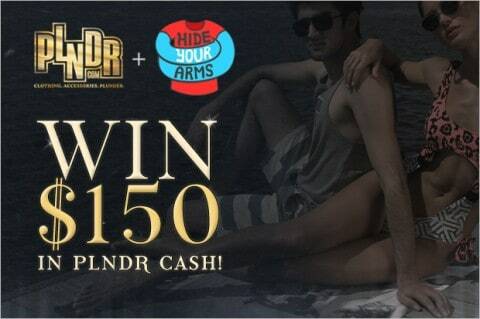 Only PLNDR signups through this special link will count as an entry to this competition. This winner will be decided by PLNDR, their decision is final. * Competition extended due to me not being able to give the competition the attention it deserved. 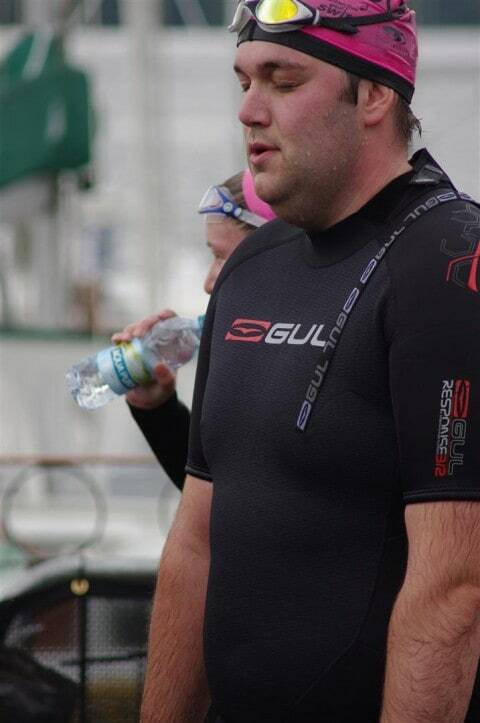 I don’t know how interested in my life you guys are, but as I mentioned it on Sunday I thought I would follow up with the results from my Great North Swim (which is unusual for me!). 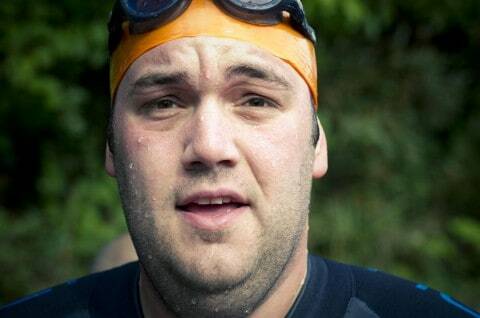 I was pretty nervous before the swim because I don’t really compete in anything, and especially not if it’s a sport. Over the course of the weekend one man died and another remains in a serious condition in hospital after attempting the swim so it is clearly a serious undertaking (there was a lot of safety precautions taken, kayaks everywhere, helicopters, but sometimes bad things happen) but I knew I was well prepared as I had been in the lake since early April doing well over a mile, but all those times I was either on my own (with a supervisor on shore) or with my girlfriend, so it was never competitive. When I entered the water with the 200 other people in my race I honestly thought I’d be sick, adrenaline does strange things to a person! I think I went off too quickly and my arms felt a bit tired by the quarter mile mark which meant I was having to focus on them and manage them from a lot earlier than I had hoped. Despite that I did seem to still be overtaking and passing quite a lot of people and was able to get some space and swim my own race rather than be stuck in the scrum of people kicking each other (that said, I did elbow a woman in the face near the end, sorry pink goggled lady!). I managed to have a bit of energy left in the tank for the last couple of hundred metres when I was in front of the crowds, though I did lose a bit of time when I reached the exit ramp which was made of plastic that didn’t like my swimming socks, I had to haul myself out on my (now bruised knees). Finishing time was 40:53, slightly outside of my target of 40 minutes but still a good attempt for a first timer, which placed me 3168th our of 12579 swimmers. 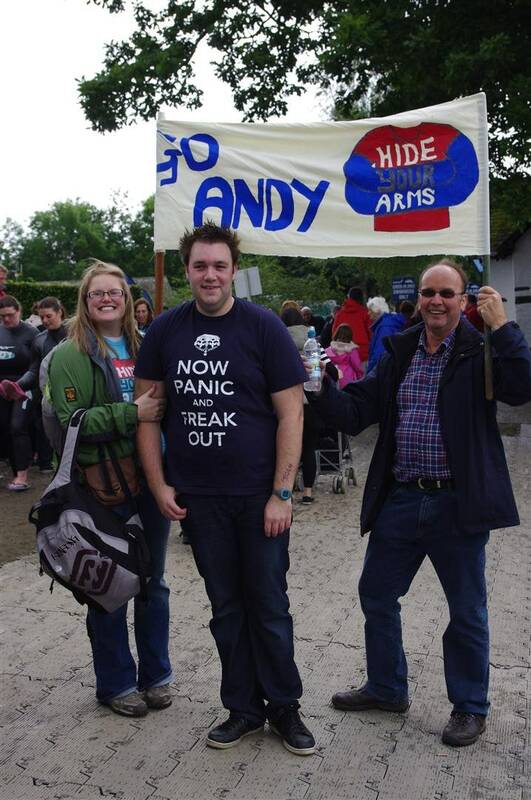 I had excellent support from family & friends, and I was one of two people with a banner (the announcer even gave HYA a shout out, “what’s Hide Your Arms?”), and also one of two people I saw that was crazy enough to wear a short sleeved wetsuit. I’ll be back next year for sure, I know I can do better and I look forward to trying. Any HYA readers like getting out in the open water for a swim? 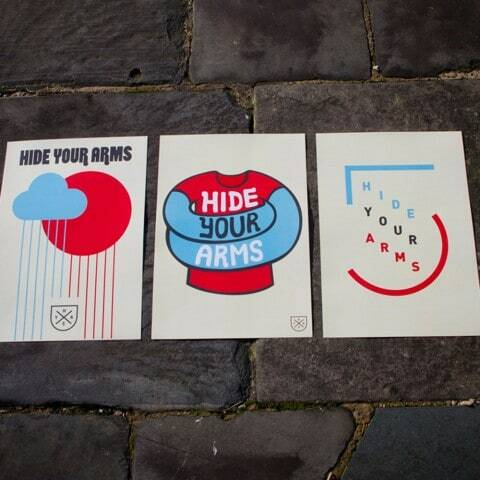 HYA Posters on sale, pick some up now! I’ve dropped the price of the 5th Anniversary HYA posters from £4 each to £2.50 each with the three-pack costing a mere £6. They are currently marked as being ‘on sale’ in the HYA store but I think that I might make this a permanent deal, we’ll see, hopefully this will persuade a few of you to get some of my lovely prints. No reduction in shipping prices sorry, my postage charge is often at a loss at the moment anyway, so I really can’t lower them any more than I already have. 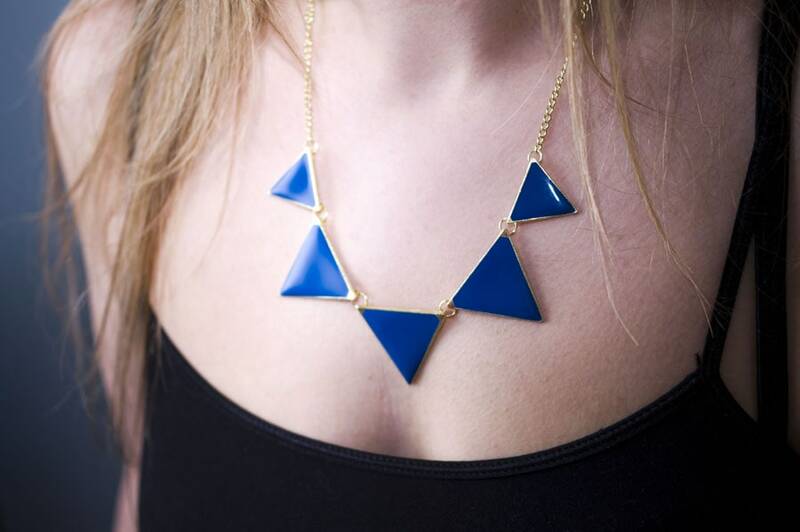 HYA has 2,500 Facebook fans, 25% off in the store for all! It’s really quite humbling when Hide Your Arms hits a milestone in terms of popularity, and 2,500 fans on Facebook sounds pretty damn cool to me. 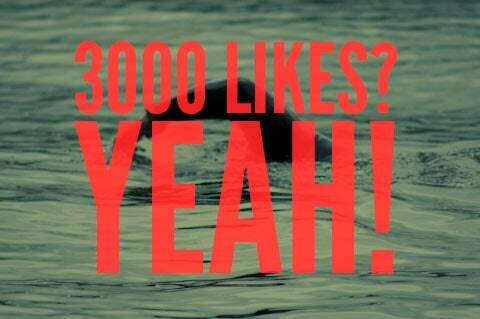 You guys are awesome, thank you so much for liking HYA on Facebook, I really appreciate it. I said on the FB page that when we hit 2,500 people I would make a code for 25% off in the HYA store, and I’m a man of my word. Use the coupon code FBAWESOME to get 25% off anything in the Hide Your Arms Big Cartel store. I don’t know when I’ll be turning that code off, but it will probably be on Monday, giving you guys the weekend seems like enough time to take advantage of my generosity!